Starting October 1, Frosted Key Lime will be tested in select Austin-area restaurants for a limited time. A fun twist on one of America’s favorite treats, Frosted Key Lime is a hand-spun combination of vanilla IceDream®, Chick-fil-A Lemonade (or Diet Lemonade) and natural, sugar-free lime flavoring made from a blend of key limes, kaffir limes and Persian limes. According to Chick-fil-A Chef Christy Cook, Frosted Key Lime also packs in a few superfoods. “It gets its pale green color from a mix of spirulina and turmeric – both known for being rich in nutrients and having numerous health benefits,” Cook says. Cook got her inspiration for Frosted Key Lime from the Key Lime Pie Milkshake that was considered for the menu more than a decade ago. According to Cook, Frosted Lime is reminiscent of the same “tart and creamy flavor,” and is a treat that customers can enjoy any time of day. Frosted Key Lime is available in small and large servings with prices starting at $3.39. A small has 340 calories (regular Lemonade) or 270 calories (Diet Lemonade) – fewer calories than a milkshake. Frosted Key Lime will be offered from July 16 to November 18. Following the test, Chick-fil-A will evaluate customer feedback to determine if Frosted Key Lime will be added to menus nationwide in the future. 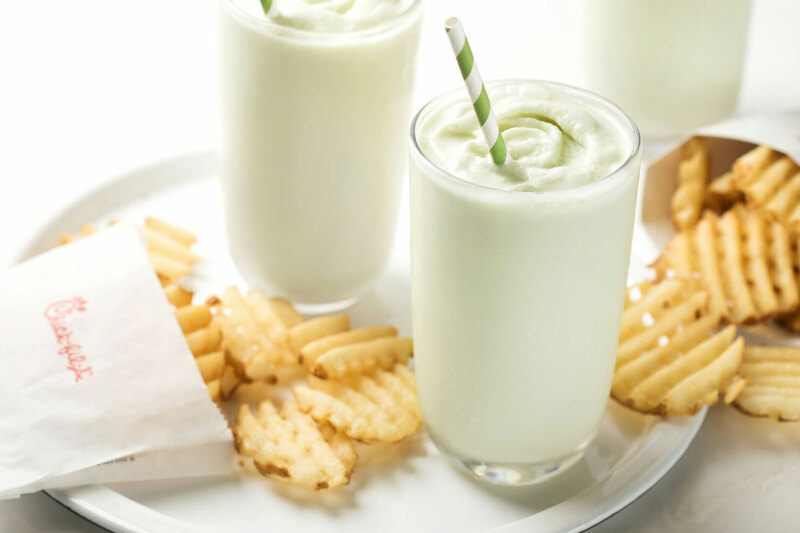 The weather may be heating up, but Chick-fil-A’s menu is cooling down thanks to Frosted Key Lime, our newest frosted beverage joining menus nationwide on Monday, March 18 – just in time for spring!